In early 2018, Morgan Schneiderlin took to social media, posting pics of how he continues to participate in fitness activities even during the off-season period. The images of Morgan doing circuit drills on the stairs of a building complex reflect his commitment to being on top form at all times. This is not very different to what pro traders do when the markets are closed. They spend their off-season time reading articles, following other successful traders and checking on important economic events. This is what helps them continuously improve their trading skills and knowledge to make better trading decisions. Another key activity that traders do when they aren’t trading is reviewing their trading history in an attempt to learn from past mistakes. Schneiderlin also posted images of himself participating in intense street workouts on his days off. His commitment to be the best player he can be is a lesson for everyone. Sharpening your skills doesn’t need to be a boring exercise, says Schneiderlin. Street workouts, circuit drills in a fun environment or simply practicing honing one’s skills can be very fulfilling, he went on to say. Taking a leaf out of Schneiderlin’s book, traders should also make good use of their free time. That’s why Blackwell Global has launched the largest ever educational portal, dedicated to cryptocurrencies, a financial market that is still new for many traders. With support from a skilled customer support team and ample educational material, traders can aim to make well-informed decisions every single time. Support is also available to help traders across various financial markets to hone their skills and make the best use of trading tools. The Blackwell Global – Everton Football Club partnership is certainly keeping everyone active, but that’s just how we like it. From the 15th December - 23th December, Blackwell Global will be running a competition to celebrate the release of the #DidYouKnow Morgan Schneiderlin Video. Watch the video and answer 3 questions correctly to be in the running to win the Grand Prize, which will be drawn just after Christmas. Good luck. If you enter the #DidYouKnow Morgan Competition you agree to the below Terms and Conditions. 1 Grand Prize will be awarded. 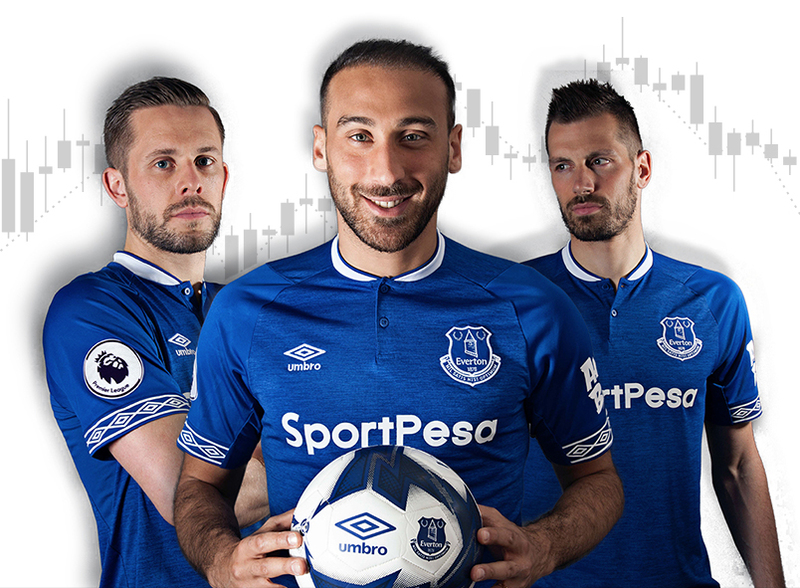 *12 Month Trading Pack includes access to Trading Diary, MT4 Accelerator, MT4 Indicator Pack and VPS for 12 Months, **VIP Hospitality will be for 1 upcoming game at Goodison Park in Liverpool. No travel costs will be included in the prize. Blackwell will confirm the date of the VIP hospitality shortly after the competition has ended. **1 on 1 Coaching will be with Professional Trader Paul Wallace. (1 coaching session for 1 hour). Times will be agreed with Paul. Your email address may be used for marketing purposes by Blackwell Global. In accordance with GDPR, if you wish to be removed from our list after the competition, please contact us via our website.